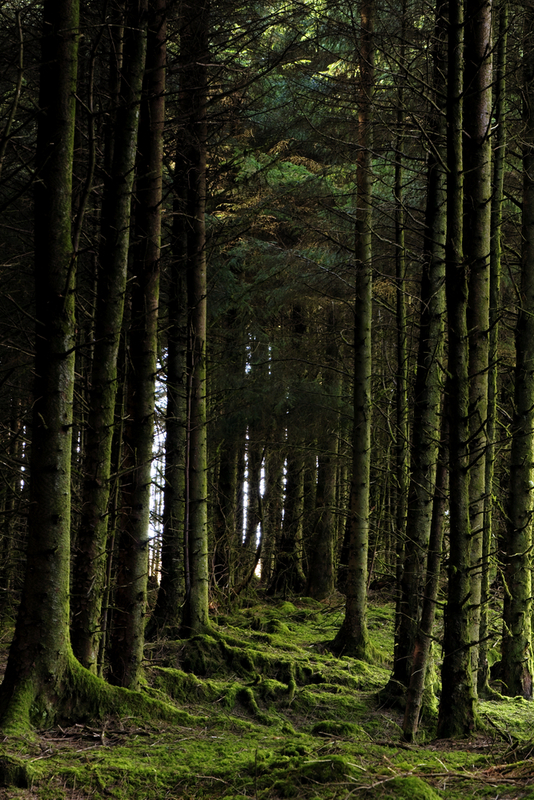 The new Forestry Programme will involve a commitment of €482 million to the forestry sector. 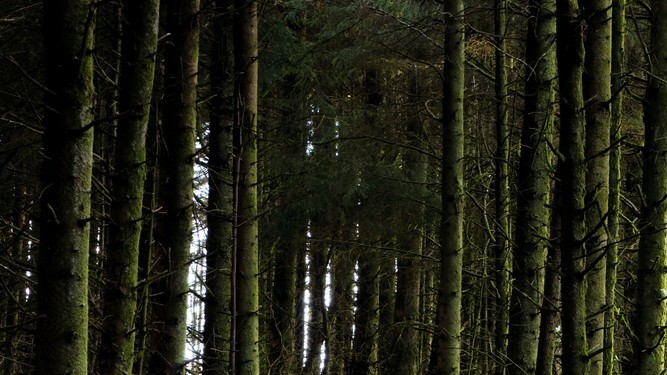 Under the programme the Afforestation Grant and Premium Scheme is available from the Forest Service of the Department of Agriculture, Food and the Marine. Grant and premium categories 1-8 fund the establishment of a conventional forest with the main objective to produce commercial timber. There can of course be other additional objectives also. Both conifer and broadleaf tree species can be considered. These categories focus on nature creation and support the establishment of new native woodlands on green field sites expanding Ireland’s native woodland resource and associated biodiversity. This category combines trees with grazing or silage. It allows farmers to farm conventionally while growing a timber crop in the same fields. The objective of this measure is to meet a forecasted supply-demand gap for fibre for energy and other wood product applications. This scheme provides support for the construction of forest roads. Special construction works may be funded on environmentally sensitive sites. Additional funding is also available where significant additional stone is required. This scheme supports thinning and tending operations in broadleaf woodlands planted since 1980. This scheme provides support to restore and retain forests following significant damage by ash dieback (Chalara). 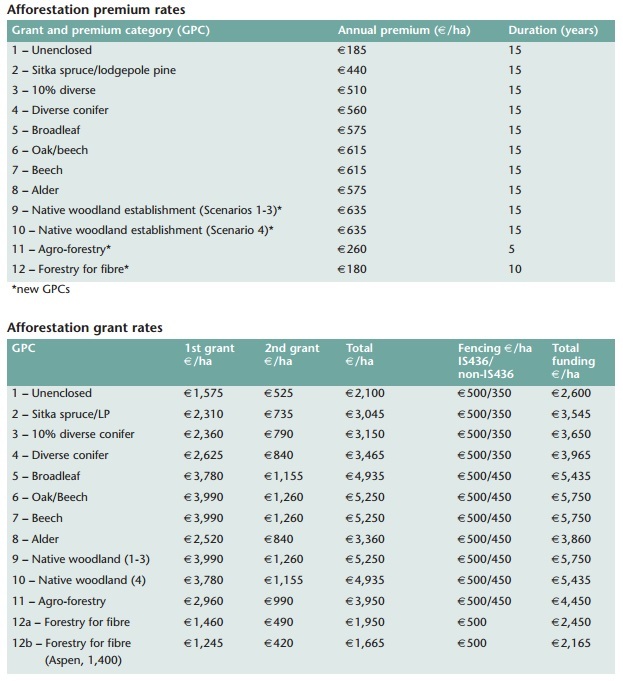 A brief overview of the new afforestation grant and premium rates.